Chinese four-door saloon similar in size to the Skoda Octavia, expected to cost around £10,000, comes with a five-year warranty, four-star Euro NCAP rating. 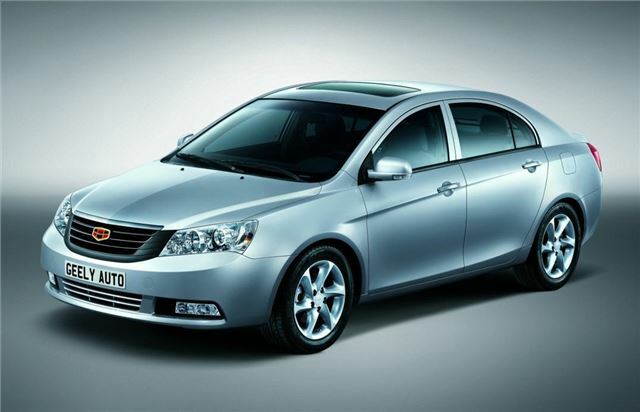 Geely name unknown, don't expect great quality, anonymous looks. Chinese car maker Geely is to enter the UK new car market, with its first model - the Emgrand - on sale here before the end of 2012. The brand already has a presence in the UK through other companies – it owns The London Taxi Company, manufacturer of the iconic black London cab, and Volvo. The UK arm of Geely will be called Geely Auto UK. Initially, the company will import the Emgrand (pictured above), a four door saloon similar in size to the Chevrolet Cruze and Skoda Octavia, which will be priced at around £10,000. After that it plans to add a new model to its range every year for four to five years. Matthew Cheyne, Market Development Director for Geely Auto UK, said: “Geely cars are already suitable for Europe and meet EU homologation and whole vehicle type approval and of course Euro 5 emissions. They are all well equipped products but at affordable prices and will carry a five-year, 100,000 mile warranty”. “My initial task is to establish a UKdealer network, probably 30 to 40 strong, ready for the brand’s launch. The recruitment process has started and we are looking at small independent owned businesses that know their customers and traditionally give excellent customer service. We will also consider such sales and service outlets as former Rover dealers, sharing dealer sites with other franchises as well as smaller regional Groups”. In Geely’s home market of China it sells a range of five vehicles – three saloons, a small hatch like the Citroen C1, and a Ford Focus-sized hatchback. The latter two are likely candidates for the UK market, where hatchbacks take the lion’s share of sales.